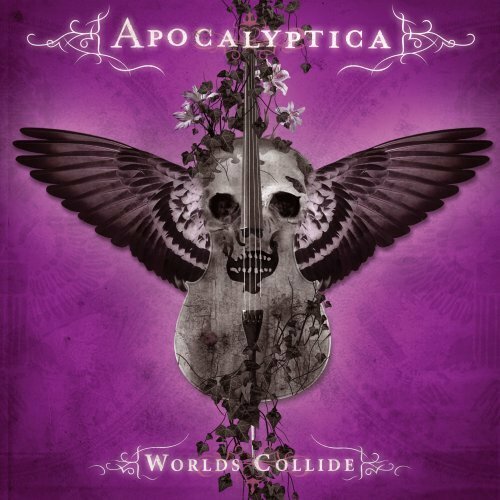 Home Apocalyptica are a cello-metal band from Finland and began by recording Metallica covers! Max Martin Their 6th album "Worlds Collide" has a song co-written by Max Martin! Alexandra 27 September 2007: Julian emailed to let me know about a song "I Don't Care" by APOCALYPTICA feat. Adam Gontier. Thanks Jules! 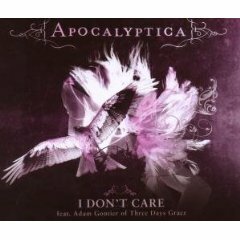 Articles 23 April 2010: Thank you to Tim who emailed me this very interesting information: Just wanted to let you know that there are two different versions of "I Don't Care" by Finnish cello-metal band Apocalyptica featuring Adam Gontier: the original album version and a radio edit version. "Actually we’ve reworked the song. Adam [Gontier] originally recorded his vocals in the spring (of 2007) with our producer (Jacob Hellner), but Adam wasn’t entirely happy with the result. So a couple of weeks ago, Adam went to the studio with (3DG producer) Howard Benson to record a new version of the song. It’s really great. It will actually be on the US/Canadian edition." The song reached #1 on the Billboard Mainstream Rock Tracks chart for one week in 2008 and #2 on the Modern Rock Tracks chart where it spent a year in the top 20. The song made it to #96 on the Billboard Hot 100 Rock Songs of the Decade chart. (Billboard.com December 31, 2009). 57 Lesley Roy A very impressive album!